This luxurious handtied bouquet of exotic long lasting blooms will delight -guaranteed ! 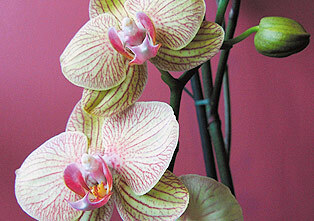 Cymbidium orchid, anthurium and bird of paradise among others are included. * Available also in shades of pink.